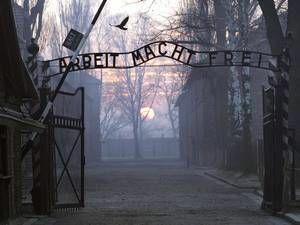 Next month a former medic at the Auschwitz-Birkenau concentration camp will go on trial for being an accessory to over 3,600 murders of Jewish prisoners during the Holocaust in a month in 1944. As a huge history (and WWII) buff I understand the significance in what this guy took part in and why it would be necessary to make him pay for his crimes. Then you take a look at who exactly is on trial. The defendant is a 95-year old dude named Hubert Zafke who has noticeable “cognitive impairments and low physical capacity”. This isn’t the first time a really old guy has been put on trial for WWII crimes. I mean, it’s been more than 70 years. So even babies from that era are old. But the guy is gonna do some time soon. I guess the better question is whether he has suffered internally and whether it’s necessary to make him suffer externally for his part in the atrocities. Not saying that he should get a free pass because there’s been cases where due diligence hadn’t taken place on a way larger scale (with Albert Speer) and it wasn’t found out until well after he passed away. And in that case, Speer was directly linked not only to Hitler (as one of his best friends) but as an individual that very much knew what was happening to the slave laborers working on his construction sites after leaving his presence. Military personnel definitely aren’t given a free pass as to say “I was merely taking orders” because it was well-chronicled the times that Hitler’s life was put in jeopardy due to assassination attempts. Refusing an order wasn’t unheard of, but for a simple medical orderly the situation was far different. He likely would’ve been labeled a sympathizer and had his work uniform traded in for another one. Zafke obviously was responsible for not standing up and letting things happen. But unless it is proven that he made an order or had a direct hand in the deaths at Auschwitz then perhaps instead of forgiving and forgetting we move forward and educate our youth. Had Mrs Zafke worn the same dress as her sister-in-law to a family wedding and never spoken to her since, one could justifiably say, ‘Let bygones be bygones’ and move on. So 70 years’ passing means ‘let it go’ for 3000+ cruel murders does it? Then I guess we should not bother getting in a tizzy 40 years after Jimmy Savile’s much-lesser crimes against much fewer people? Try telling his victims Let bygones be.